Lenovo has launched two new Yoga Tablets 2 models, one with 8-inch display and another with 10-inch display. The tablets come with choice of OS either Android 4.4 or Windows 8.1 OS. Lenovo also launched Yoga Tablet 2 Pro with 13.3-inch display and android 4.4 KitKat OS. 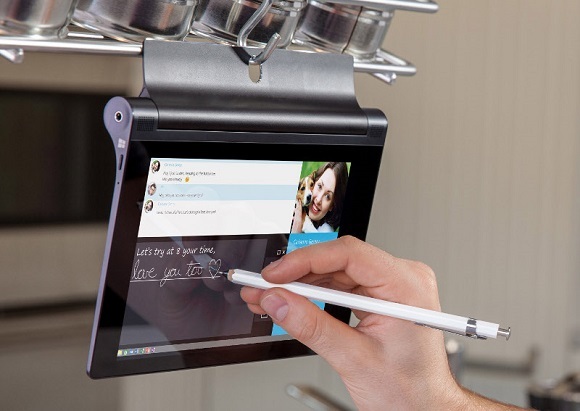 The Lenovo Yoga Tablet 2 comes in 8-inch and 10-inch variants with Full HD IPS display with resolutions of 1920 x 1200 pixels. 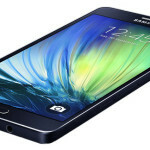 It runs on Android 4.4 or Windows 8.1 operating system. Both the variants are powered with 1.8 GHz quad-core Intel Atom Z3745 processor and coupled with 2GB LPDDR3 RAM. They include 16GB of inbuilt memory which can be expandable up to 64GB via microSD card and has 8MP auto focus rear camera and there is 1.6MP front facing camera for video calling. The 8-inch display variant has 6400mAh battery support while 10-inch display variant is packed with 9600mAh battery. The Lenovo Yoga Tablet 2 Android tablets with 8-inch and 10-inch display are priced at US$249.99 and US$299.99 respectively. Both the tablets are available in the market for purchasing. 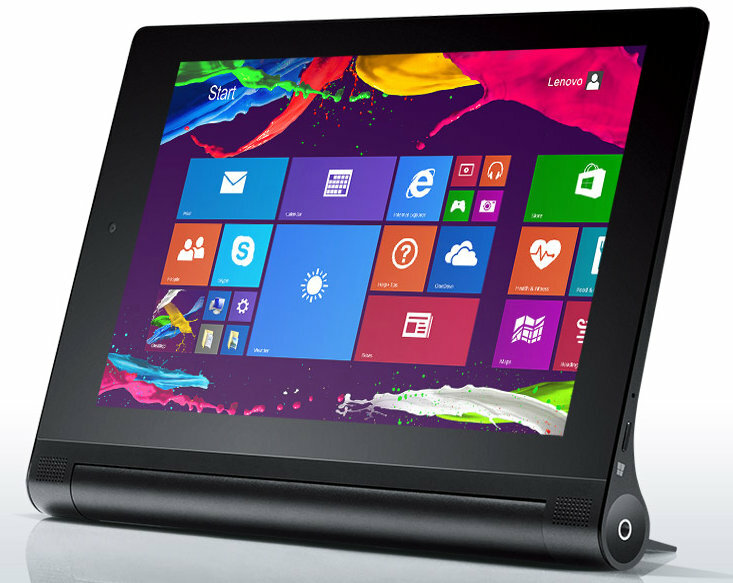 The Yoga Tablet 2 Windows tablets with 8-inch and 10-inch display are priced at 249 Euro and US$399.99 respectively. 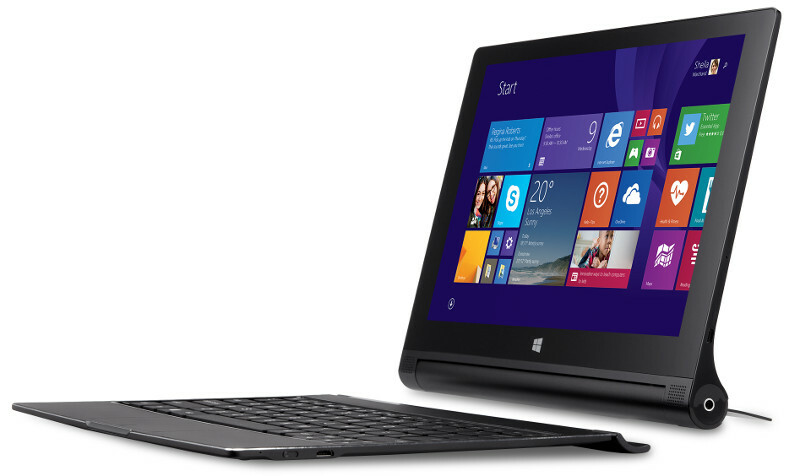 The 10-inch tablet with windows OS will be available late October via Best Buy.